Juhannus ist ein seltsames Fest, wenn man in Helsinki bleibt. Es ein Fest, dass die Finnen auf dem Land feiern. Sie fahren zu ihren Sommerhäusern und treffen sich mit der Familie und Freunden, um in die Sauna zu gehen, zu grillen, Party zu machen, eine Menge Bier zu trinken… Wer nicht aufs Land fährt zur Familie, wie die meisten Touristen, steht in Helsinki dagegen vor vielen verschlossenen Türen. Die meisten Museen und Attraktionen sind das ganze Wochenende geschlossen, ebenso viele Bars, Läden und Restaurants. Oder, falls sie geöffnet haben, sind sie erstaunlich ruhig, so wie die Atelierbar. Gut für uns, in diesem Fall. Trotzdem bin ich mir für meinen Reiseblog nicht sicher, wie dieses Fest zu vermarkten wäre. Die traditionelle Feier auf der Insel Seurasaari ist immer ein guter Anlaufpunkt, aber wer die Stadt Helsinki kennenlernen will, dem ist das Juhannuswochenende eigentlich nicht zu empfehlen. Da sollte man wirklich besser eine “mökki”, also ein Sommerhaus am See mieten, eine große Gruppe Freunde einpacken und sich mit Grillwürstchen, Bier, einem Lagerfeuer und Sauna zu den Mücken gesellen (denen es in diesem Jahr auch zu kalt gewesen sein dürfte). Juhannus, the traditional midsummer celebration, was a pretty wet event this year. And cold on top of it. 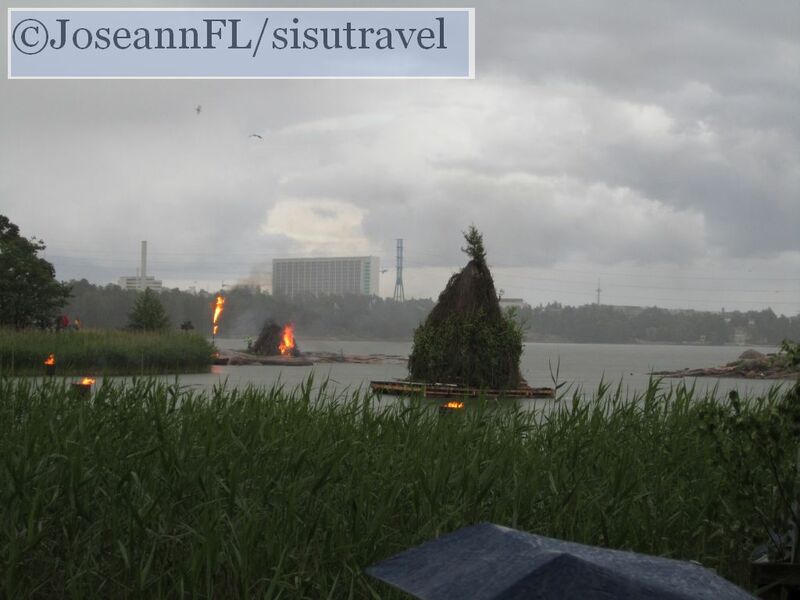 We didn’t even wait for the large midsummer fire on Seurasaari Open air museum island to be started (see first picture). Whimps we are, of course. Fortunately, the sun came out later at night and presented us with a beautiful sunset and the typical “White Night” phenomenon, which we observed relaxed from the Atelier-Cocktailbar at Hotel Torni. Picturing time: 23:30 (feature picture). 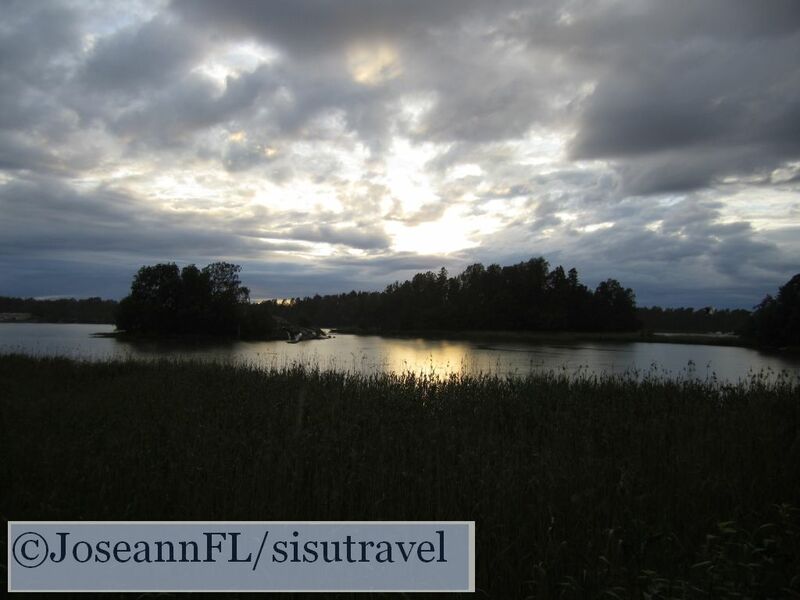 Juhannus is a curious festivity, if you don’t go to the country side like the Finns. Typically, they celebrate midsummer in their summerhouses at the lake shores, where they gather with friends and family and spend the nights with sauna, barbecue, lots of beer, partying… Many tourists, who don’t go to the countryside, will meet with closed doors at many of the attractions and venues in the capital. Many bars, restaurants and shops are closed, too. Unless your hotel (or this blog next year) supplies you with a list of opening hours, you are going to have a “hit and miss” evening on your own. The traditional bonfire on Seurasaari Island is definitely worth a visit and a great place to stay when the weather is nice. 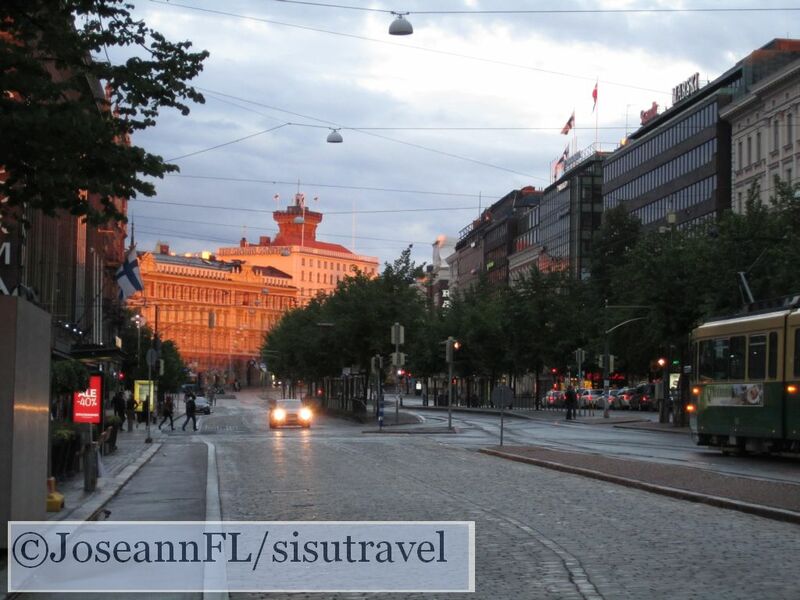 But if you want to get to know the city of Helsinki, it’s better to choose another weekend. If you happen to come to Finland next year on the weekend of Juhannus/midsummer, make sure you book a summerhouse in advance, pack a bunch of friends, beer, sausages and insect repellents and head to the lake district or the sea shore.